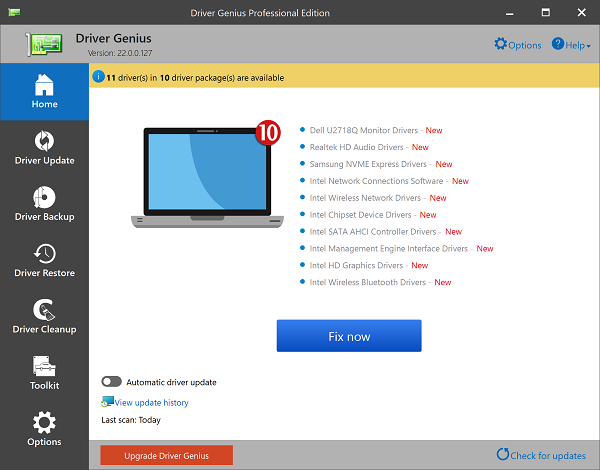 Driver Genius improves PC performance with the powerful driver manager for Windows that backs up, restores, and updates your device drivers automatically! With just a few clicks of your mouse, Driver Genius updates the drivers your system can't find on its own! What's more, this powerful and easy driver management tool can analyze your system and recommend suitable drivers for your PC from a database containing over 160,000+ different drivers. The database contains drivers for the vast majority of hardware devices such as motherboards, video cards, sound cards, network cards, modems, monitors, mice, keyboards, digital cameras, video capture cards etc.